in the early 90's there was a john hiatt fanclub named "in the john". 15 years later here on the archives we like you to take a look in to the fanclub magazine. today we present you volume 2 (November 1990). surf to " collectors > in the john " or simply click here. may we advice you to listen to Ernie Payne! in my opinion it's a style between Ry Cooder and Hiatt's "crossing muddy waters" and i think you really have to check him out. more information about ernie payne can be found here: http://www.crossroads.nl or listen here. more photo's of this European tour can be found under downloads > pictures > fans. After a short European John Hiatt tour we can expect a tour from a few other great artist in November. What about Peter Case, John Doe and Michael Weston King? More details here. some new photo's are up now on this website from a belgium hiatt fan. Thanks C!! visit downloads > pictures > fans. 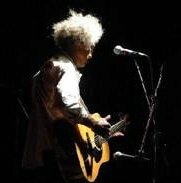 visit chords for 2 "new" songs. added some old tourdates from 1997, 1998 and 1999.
visit "downloads > mp3" to listen the rarest songs. visit "downloads > other" for some funny ringtones. The old archives is gone for good. It's the new version that has to do it on his own now. A few parts are still not re-newed (like bootlegs and pictures) and they will show up as the old version. Live from Austin Texas. Release date November 1. More info here. Full House. Release date September 23. More info here. european tourdates are changed, Look here. A lot of new tourdates available including a European tour!!! Look here. guitar chords can be find now under "downloads > chords". A John Hiatt fan made photo's on the concert in Vancouver, July 11. Visit "downloads > Pictures > Fans". possible European tour in October. Information found on this Dutch website (thanks Erik). Shirts, Posters and songbooks can be seen under "collectors". another part of the website is done! Just finished the regular discography including the "vinyl single" section. a 25 minute interview and performance in the Mountain Music Lounge (6 mb). read this interesting article.... here (thanks ron). John Hiatt visit the NPR studio on June 28. Listen now to 4 recordings from that day. Click here. in the early 90's there was a john hiatt fanclub named "in the john". 15 years later here on the archives we like you to take a look in to the fanclub magazine. today we present you volume 1 (may 1990). surf to " collectors > in the john " or simply click here. click on "downloads" and surf to "pictures > fans". Here we are with a new lay-out of the Hiatt Archives. Just browse around a bit and found out the new stuff that's here. till now we've done a lot of work on the discography (much more information on the albums). 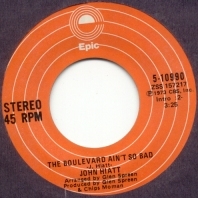 In the future we will upload much more new stuff, so keep visiting the john hiatt archives. the old archives is still available here. be sure you're not using the browser "opera", cause possible you can not see the navigationbar. much more articles from the internet. much more about an old john hiatt fanclub "in the john". Pre-order the next John Hiatt album on amazon.com, get access to a stream of the album. Click here to order. CD is being released as a Hybrid Super Audio CD. This CD plays on all CD players, including CD players with SAC/5.1 Surround Sound. 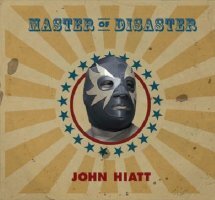 new John Hiatt album 'Master of Disaster'out on June 21!! Ofcourse on New West Records Label! finally after several years of searching i found what i'm looking for! the very first 45 record of john hiatt. "We make spirit / the boulevard ain't so bad". released in 1973 and never released on a official album. i'm proud!! Be sure to check out our tourdates!! Check out Vanguard Records website and found out about 2 other artist on that label. Coming soon on vanguard records: Deana carter "the story of my life" and also Shurman "Jubilee". 2 great albums that i heard and you also have to hear!! Memphis, TN (February 2, 2005)--John Hiatt has recorded his new album at Memphis' renowned Ardent Studios, in what is described as the very first sessions to use a "real world" DSD recorder. Produced by Jim Dickinson and engineered by John Hampton, the New West Records album features Luther and Cody Dickinson of The North Mississippi All-Stars on guitar and drums, with David Hood on bass. Gus Skinas, president and CEO of Super Audio Center LLC., developers of the Sonoma-24 Direct Stream Digital recording and editing system, was on hand to supervise the new technology. Skinas explained, "John Hiatt's session at Ardent was the very first session to use a 'real world' multitrack DSD recorder. DSD, or Direct Stream Digital, is a new and different technology for recording audio. It is a step as significant as the move from analog to digital recording in the early 80's. In stead of recording 24 bit words at a rate of 96 thousand times a second, it records a very fast 1 bit sigma-delta stream at a rate of 2.8 million bits a second. It is a signal much more analog-like in sound and appearance, but it can still be digitally copied and processed. "While there are some devices out there that can record multitrack DSD, the Sonoma-24 is the only one that can do this and provide the overdubbing and editing capabilities that everyone is familiar with, given the power of today's workstations," Skinas continued. "When used in a state-of-the-art analog studio such as Ardent, the final product is free of the sonic restrictions one finds with typical digital production. This will be most obvious when John Hiatt's new SACD is played on an SACD player that uses the same DSD technology to playback the recording. It will also be noticeable on CD's and MP3's. As well, because the better the master, the better the final product." We thought about our downloads to go on with it or quit for a while. We decided to stop with it cause we haven't receive any feedback of our visitors. If we feel the need to go on with in, we will drop a note here. We also thought about a new look for this website....... We are so busy with other things, that we haven't had the time to work on it. On the other hand.... do we need a new look? I think we can change the lay-out a bit and make the navigation more easier then it is now. Any volunteers to help me????? If you haven't notice yet... on the official john hiatt website there is also a discussion forum now. Some new updates on the official site too. by the way...... have a great 2005 with a lot of joy of music (Hiatt? ).